I foolishly deleted the wrong VM a couple of weeks ago and yesterday I realized that Joomla 2.5 is out. It looks like Joomla 2.5 is the successor to Joomla 1.7. I guess version inflation is kicking off again. At any rate, I wanted to see whether my previous post would work and update it where necessary. I have created a script to install Joomla, see this post, note that the script is only for Joomla, you will still need to manually install CentOS/RHEL. Download Netinstall iso from http://isoredirect.centos.org/centos/6/isos/i386/ or http://isoredirect.centos.org/centos/6/isos/x86_64/ for 64 bit versions. Start a brand new VM and boot from the iso downloaded in step 1. Select Install or upgrade an existing system. Select URL and press OK. Enter http://mirror.centos.org/centos/6.2/os/i386/or http://mirror.centos.org/centos/6.2/os/x86_64/ for the 64 bit version. 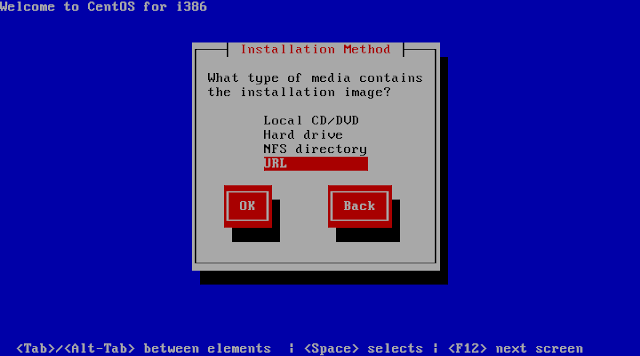 I only gave 512 MB of ram to the VM, which meant that the TUI installer ran instead of a graphical interface. After selecting the hard drive, I received this prompt. Select Re-Initialize All. yum groupinstall "MySQL Database server"
I chose to install the sample data on step 6. You can now go and administer your site or view the sample sites if you chose to install the sample data. Enjoy! See this post, if you want to configure multiple instances of Joomla in one server. Thank you for this information, was very useful. Successfully installed Joomla 2.5.6 onto CentOS 6.3 using instructions provided here. It's nice to have all the instructions in one place. Thank you. I used your instructions from step 9 to install Joomla on my CentOS 5.8 at home successfully! The only thing additional I had to do was to manually update my PHP version. Thank you for this excellent article! Further, do not ever suggest setting SELinux into 'disabled' mode. Rather use 'setenforce 0' which puts SELinux into _permissive_ mode. This means, issues will be reported into /var/log/audit/audit.log. Do a grep for 'denied' entries here, and paste them through allow2why, which will provide better info why SELinux in Enforcing mode would deny this operation. Other than that, doing a 'getsebool -a | grep http' will list all apache/http related SELinux booleans settings. Often it's enough to just flip a few of these settings from 'off' to 'on, and it just works. You change these booleans with 'setsebool'. Don't be terrified of SELinux. It scared a lot of users in the very beginning, and "the whole world" suddenly thought it is just a waste of time to figure out. But the fact is that SELinux works very well. I've exclusively had SELinux enabled on 15-20 different installations the last 3-4 years without any big issues. And from RHEL6 came, it's been even less tweaking and fidling. SELinux is fairly simple, it just sounds complex because it was complex in the very beginning. But a decade ago, people ignored firewalling because it was so hard and difficult, but we seldom see people recommending to turn off iptables these days because it is so hard to work with. Rather spend time to learn a powerful tool, instead of ignoring it. By the way, I forgot one details with setting into 'Permissive' SELinux mode (setenforce 0). That happens instantly, so you don't have to reboot. And switching back to 'Enforced' mode (setenforce 1) is just as instant. Unfortunately, it's not maintained after a reboot, which is why I recommended making the changes to the SELinux configuration, if you are going to run with SELinux disabled. I do agree with you that SELinux should be on, but a lot of people seem to be scared of it. I encountered some trouble when I try to install joomla following your instruction. Maybe because I'm new user of linux (CentOS6.3). 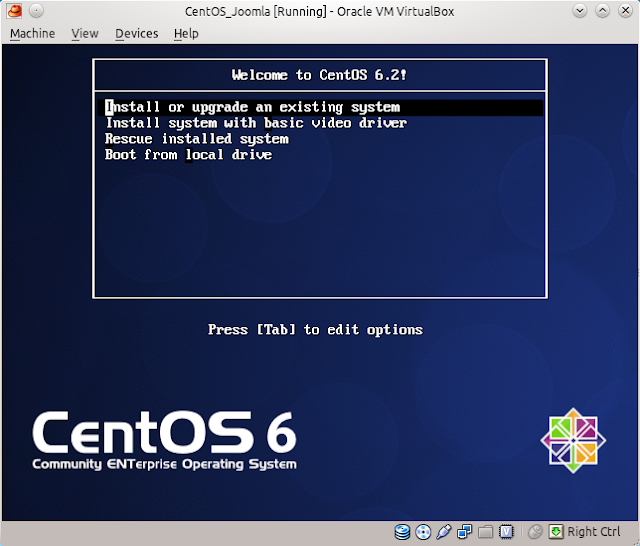 First of all, I want to tell that I have installed CentOS6.3 on virtual machine (VirtualBox). TO JoomlaUser@localhost IDENTIFIED BY 'mypass'; >????????????????????? Beside of this, for this short tutorial "Installing Joomla 2.5 on Centos 6.2 (netinstall) " only good words and good job. I waiting much early is possible some indications or suggestion, to fixed my trouble, and start to explore Joomla. The whole command should be run as a single command. where the settings come from step 18. It all depends what you are trying to accomplish. Say for the sake of argument you have a web1 and web2 directory on /var/www/html/ then you could access each installation by using http:///web1 and http:///web2 respectively. Please remember that you need a second database too. This clearly is not very good for internet users as they are unlikely to know that they need to go to web1 or web2. You could set up virtual hosts on Apache, see this link(http://httpd.apache.org/docs/2.2/vhosts/examples.html). This in practice means either using a different port for the second website or having two dns entries, i.e. two domains, one for each site, which is what you really want if you are exposing the two sites to the web. As I said, it really all depends on what you are trying to accomplish. it's probably a SELinux issue. Your best bet is to disable it with: setenforce 0.